The locality is also known as Marthalli. Marathahalli is in South East Bangalore, located close to the old airport on HAL. A sleepy village till the 1990s, the locality became self-sufficient following the IT boom. Its proximity to IT hubs like Electronic City, Sarjapur-ORR and Whitefield has led to many industry professionals choosing the locality to buy apartments. Doddanekkundi village is also known for two ancient Tamil inscriptions – first one is dated 1304 which mentions the name of the village as Nerkundi and the second inscription is about Hoysala King Ballala III granting the entire revenue of Doddanekkundi village to the Shivagange Temple. There is also a Telugu inscription as well. Scholars use these inscriptions to show that Tamil and Telugu were in use in Bangalore before the reign of Krishnadevaraya of Vijaynagar. Marathahallihas a booming market in both residential and commercial real estate. According to our results, 2BHK and 3BHK units are the best performing units. Average price of apartments is Rs 4,200 per sq ft.
BMTC buses connect Marathahalli to major areas of Bangalore. Marathahalli Bridge bus stand is at the intersection of Outer Ring Road and Varthur Road. K R Puram Railway Station is the closest railway station and it is about 14 kms away from the locality. The locality is about 45 kms away from the airport. There are regular buses plying through the day from Marathahalli bridge bus stop to the airport. Narayana E-Techno School, New Horizon Gurukul, HAL East Primary Girls School, Geetanjali Olympiad School are some of the schools here. Hindustan Aviation Academy, New Horizon College of Engineering, Institute of Plantation and Horticulture Management and MVJ College of Education are some of the colleges here. Fortis Hospital, Jeevika Hospital, VIMS Super Specialty Hospital are some of the hospitals in the locality. 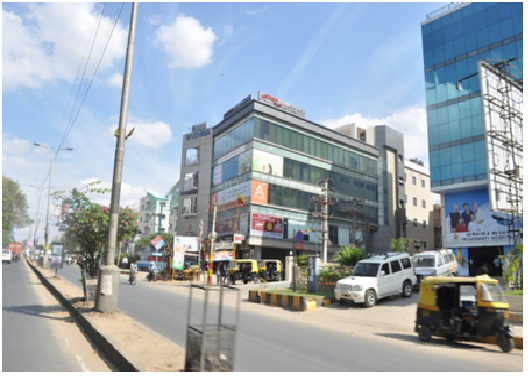 Bangalore’s first multiplex, Innovative Multiplex, is located here.There are a large number of clothes stores, shopping malls, supermarkets like Total Mall, Brand Factory, Staples etc in this area. Retail products sell at a cheaper rate here compared to most of the city. The locality has many pubs and restaurants. Munnekolala Lake at 15.38 acres is the largest of the Chinnappanahalli lakes. ISRO’s Satellite Integration and Testing Establishment is located in Doddanekkundi. Looking to buy your new home or perhaps a good rental investment? RoofandFloor has great listings for projects in Marathahalli. Your dream property is just a click away.